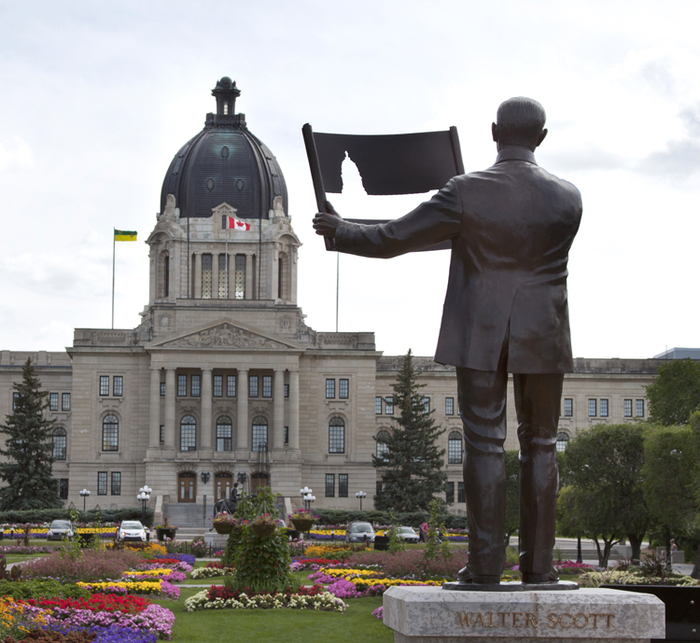 A new statue of Saskatchewan’s first premier, Walter Scott, was unveiled on July 31st, in the Queen Elizabeth II gardens in front of the provincial legislature, in Regina. 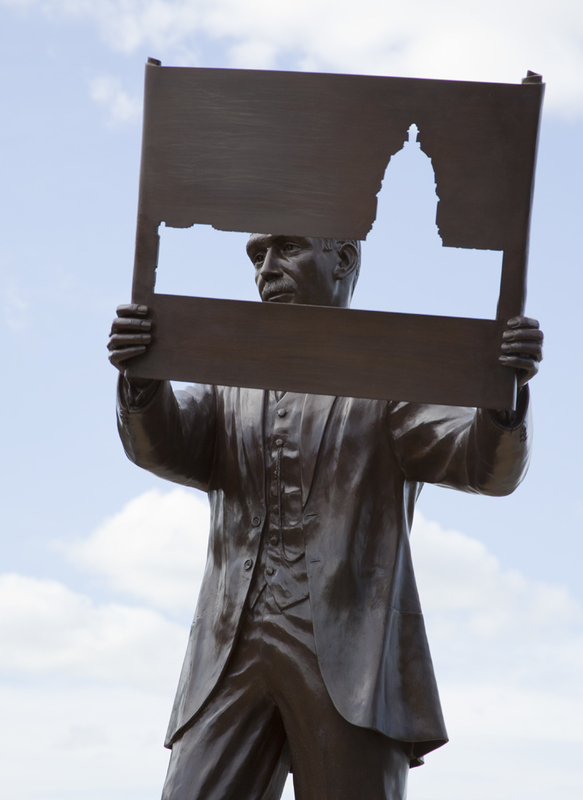 The life-size bronze statue depicts Scott holding a blueprint for the Legislative Building, which was one of the premier’s key initiatives. The commission for the statue was awarded in November to Shirley and Don Begg of Cochrane, Alberta, who are well known for their naturalistic life-sized bronzes. Scott, who was the Liberal premier of the province from 1905 to 1916, was a central figure in the creation of the legislative building, insisting on the use of premium materials like oak, marble and Tyndall stone in creating the largest legislative building in Canada. Scott was also responsible for choosing Regina as Saskatchewan's capital, helping to creating the University of Saskatchewan in Saskatoon, and championing the Rural Municipality Act and the provision of services to rural communities throughout the province.